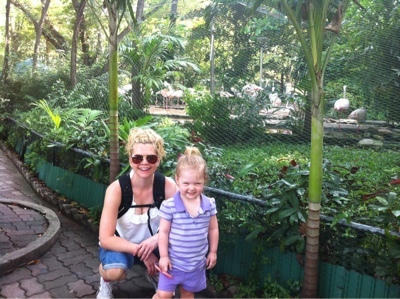 Today we decided to do a Charlie activity and go to the zoo. It is actually very close to where we are staying. The zoo is next to the royal palace and was once a garden for the king's personal use. 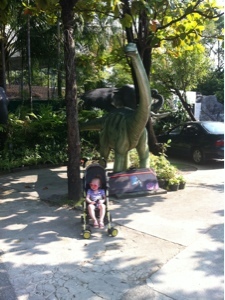 He kept a few animals there and years ago gifted the park to the people of Bangkok and turned it into a zoo. 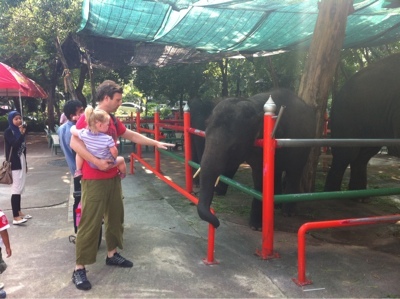 Of course the elephants are the main attraction and you can get up very close and feed them bananas. Charlie was ok with them at first but after they grabbed a few of the bananas from us she became much more wary. There is a very wide array of animals on display including lions, tigers, zebras, giraffes, lots of monkeys, crocodiles, hippos, flamingos, seals and many many more. 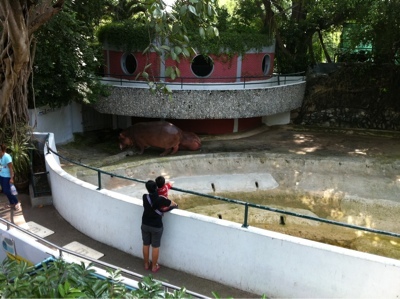 The hippos were very impressive as we had not seen them at the Melbourne zoo. 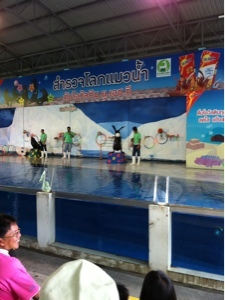 We went to a seal show which although was presented in Thai was thoroughly entertaining. After the show Charlie had had enough animals so we snacked on some meats on sticks which are very common here. We really had no idea what was what but based on taste the ones Charlie enjoyed most were squid. 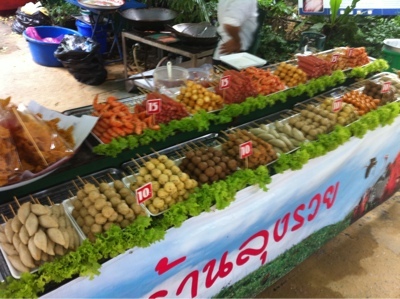 After our snack we said goodbye to the elephants and headed back to the Khao San road district for lunch.